Each week we see fantastic projects featuring My Favorite Things product, and we're always so thrilled to see what our customers and followers are creating! Today, we'd like to shine the spotlight on some awesome projects that have caught our attention in another edition of You've Been Spotted. If you see your project featured, feel free to post this image on your blog and link to this post to show the world that you were spotted by My Favorite Things! Such a soft and serene scene! 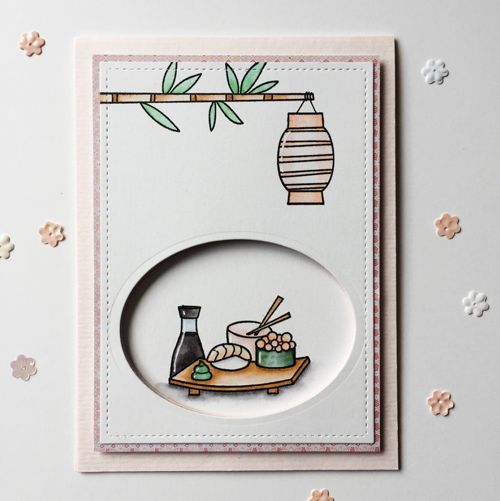 Rianne's card features a beautiful color palette and fantastic application of white space - what a wonderful use of the Sushi Date elements! 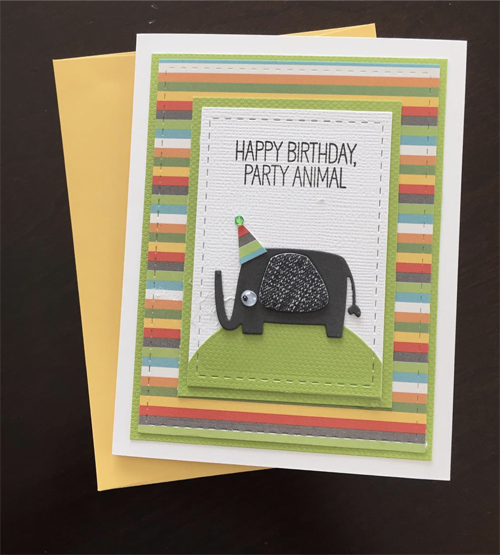 Jungle Friends has a fun assortment of whimsical animals. Anuja's addition of a patterned ear, party hat, and googly eye take it up a notch further resulting in this playful birthday look. Magical Dragons are more charming than scary - especially when perched within a billowing cloud! The rays and dimension of the cloud flotilla make Monica's look even more endearing. I think the lesson today is that googly eyes make everything better. 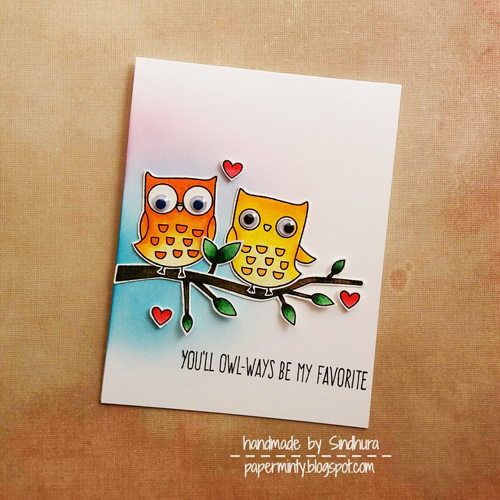 This I'm Owl Yours duo is certainly having a hoot and making a love connection on Sindu's colorful CAS card. 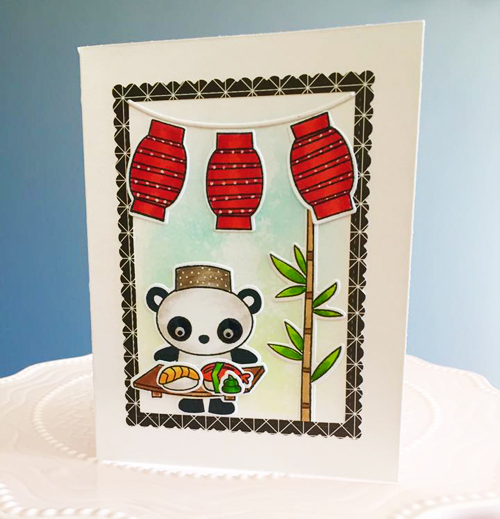 Mari's card features many of the same elements as Rianne's but a completely different color scheme and the addition of one of our panda chef's resulted in a card as unique as the intended recipient. We love that virtually any set in our collection can be customized to fit the style and mood of the crafter. Which design is your favorite this week? Be sure to leave these talented folks some love. And who knows? You might be spotted sometime soon! 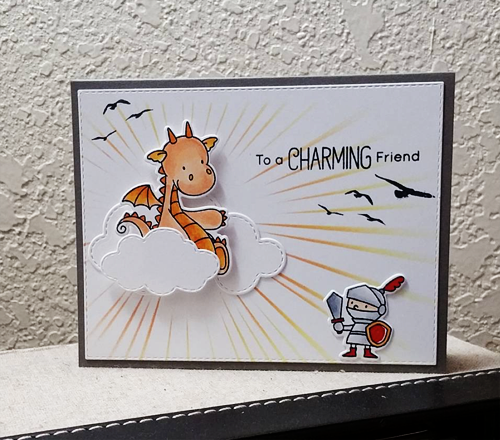 Thanks so much for featuring my card! Love all the other cards here! Congratulations, ladies! Hugs..
A very inspiring mix of cards. I always look forward to the "you've been spotted" posts.